Hi Beautiful Parents, I am a university student currently taking a break from studies to explore new experiences and expand my knowledge. I adore children and hope to learn from them as much as they can hopefully learn from me. I have babysat for friends and family, as well as neighbours since I was 16. I get along with children of all ages as I have the capability to connect with anyone. I love being around children as I not only find it enjoyable to have fun with them but to socialise at that level. "Shivani is a really lovely sitter. 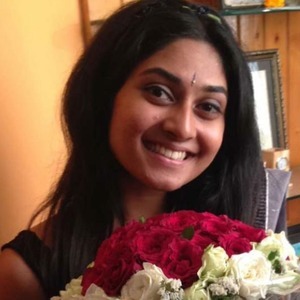 Highly recommend :)"
"Shivani is a very warm, energetic and responsible person. My children love to her so much!"